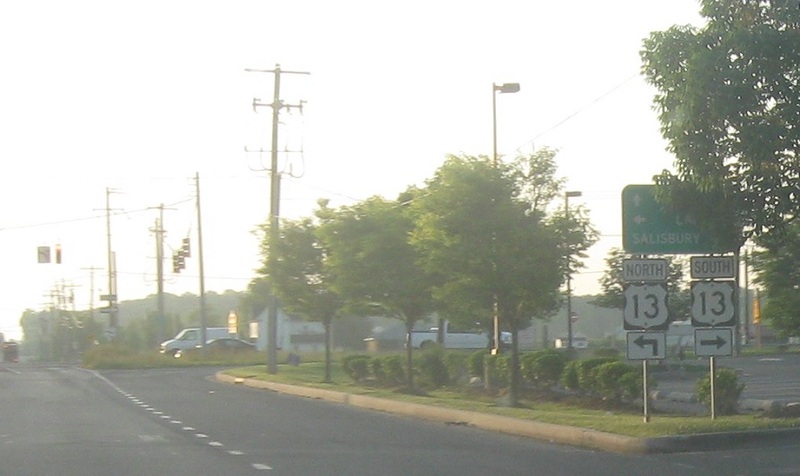 Reassurance shield after the MD-675 junction. 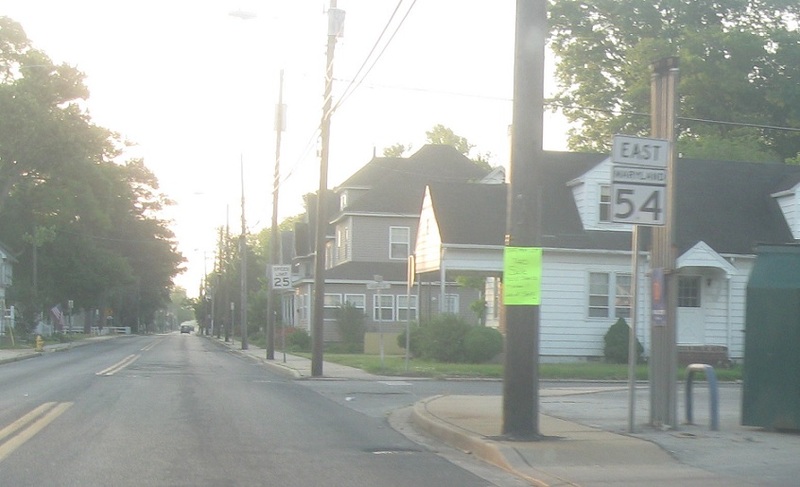 Signage from this point to the end of Maryland 54 is for MD-54. 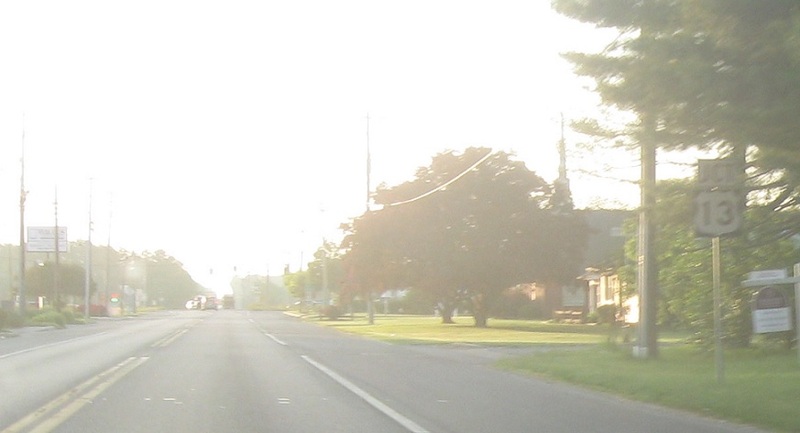 A few blocks later, we’ll approach US-13. Follow 13 south to Salisbury MD, 13 north to Laurel DE, and the 54s east to somewhere.